Just wanted to let you know how pleased my wife and I are with our new crawlspace encapsulation. We were certainly impressed with the entire process from the presentation by Mike Brittingham to the product installation by Sean Cronin and Harry Harrison. They were all very friendly and very professional. Located in Milton, Delaware, we are pleased to serve as your local resource for home energy savings and home comfort upgrades! Through our extensive training and experience, we know exactly how to improve your home to meet your needs all throughout the year. As a member of the Dr. Energy Saver network, we are a part of the nation's largest energy expert network of dealers. David Lawson is co-owner of Dr. Energy Saver Delmarva with his father Gary. A Delaware native, he received his his Bachelors degree in Technical Management from DeVry University and his Masters degree from Wilmington University in Management and Information Systems Management. After 15 years in computer engineering, he followed his passion to join his father in business. When not working with his father, he enjoys spending time with his wife and six children. He also enjoys fishing, nature, and reading during his free time. Can't handle the temperature jumps from room to room? Just want it to be consistent and comfortable throughout the house? Simply call us! We can bring you that comfort along with green living and energy savings! We understand the importance of saving money on the energy upgrades your home needs, which is why we make sure to be a part of the best local rebate and incentive programs such as the Maryland's Be SMART rebate program, Home Performance with ENERGY STAR®, and the Delmarva Power initiatives. We are also accredited with the Better Business Bureau and certified as a Lead-Safe contractor. In June of 2012 we were the proud recipient of the Department of Energy's Advanced Weatherization Tactics certification that is required in order to perform in the Home Performance with ENERGY STAR® program. We are also proud members of the Milford Chamber of Commerce, Rehobath Beach-Dewey Beach Chamber of Commerce, Milton Chamber of Commerce and the Central Delaware Chamber of Commerce. Comprehensive Home Energy Audit and Get a Quote! 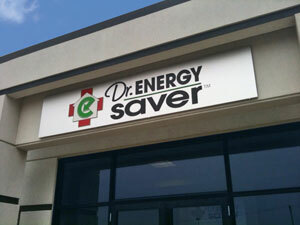 Dr. Energy Saver Delaware is the local Dr. Energy Saver serving throughout Delaware. Be sure to contact us today to learn more about our services. We offer Free Estimates for all of our services including home insulation, heating and cooling work, and crawl space repair and insulation. Schedule your home energy audit today to learn how your home uses and loses energy. Once we have completed the audit, we will know exactly the upgrades your home needs and will provide the work alongside any rebates for which you qualify. Keep an eye out for our radio ads and coupons on our site or in the mail! You'll be hearing more from us! At Dr. Energy Saver Delaware, we take great pride in providing nothing but the best customer service to all home owners throughout the state of Delaware and Eastern Maryland. For more company information, be sure to check out our listings on Yellow Pages, and Angie's List.